Professor Stoever has extensive experience teaching domestic violence clinics and engaging in scholarship in the areas of domestic violence law, family law, feminist legal theory, and clinical legal theory. In Professor Stoever’s clinical teaching, she supervises law students representing clients in family law, immigration, and other legal and non-legal interventions into domestic violence. Professor Stoever began teaching as a Georgetown Clinical Teaching Fellow and Women’s Law and Public Policy Fellow, where she taught in Georgetown University Law Center’s Domestic Violence Clinic and was trained in clinical pedagogy. 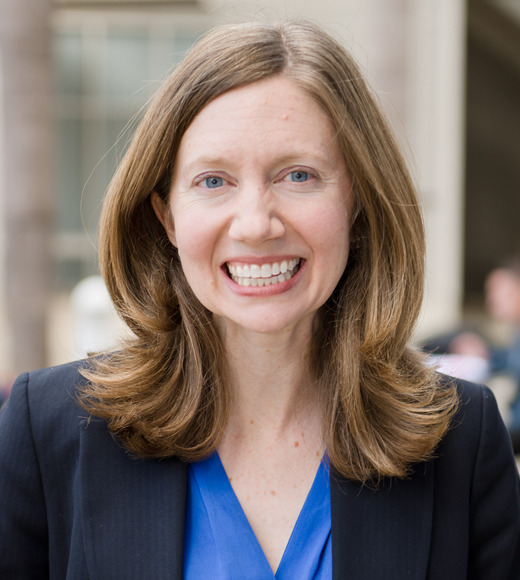 Prior to joining the faculty at UCI Law, Professor Stoever was a faculty member at American University Washington College of Law and Seattle University School of Law, where she taught Family Law and Domestic Violence Law and directed the Domestic Violence Clinic. Professor Stoever previously served as a judicial clerk, worked at legal aid offices and at a shelter for teenage girls, and was a live-in staff member at a shelter for homeless families. She graduated from Harvard Law School and received her LL.M. from Georgetown University Law Center. At Harvard Law School, she was a student attorney at the Harvard Legal Aid Bureau. Professor Stoever’s scholarly work focuses on the multiple oppressions domestic violence survivors face and explores ways that the law can better respond to complex experiences of intimate partner abuse. In addressing the interdisciplinary problem of domestic violence, her scholarship frequently brings together the worlds of law, public health, psychology, and survivors’ lived experiences. Jane K. Stoever, Access to Safety and Justice: Service of Process in Domestic Violence Cases, 94 WASH. L. REV. 333 (2019). Speaker, "The Importance of Reinstating the OC Commission on the Status of Women," UC Irvine School of Medicine, Irvine, CA. Guest Lecture, Intimate Partner Violence and Medical Mandatory Reporting, UC Irvine School of Medicine, Irvine, CA. Panelist, Access to Justice in the Age of Technology, Television, and Trump, Association of American Law Schools, Annual Meeting. San Diego, CA.